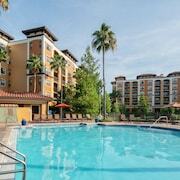 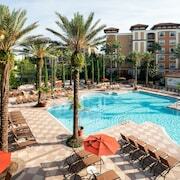 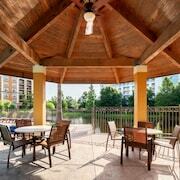 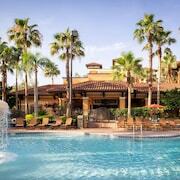 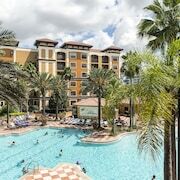 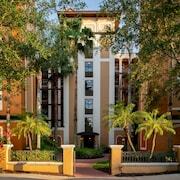 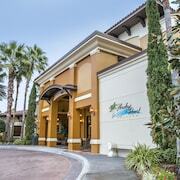 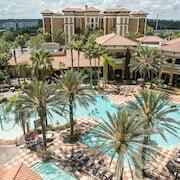 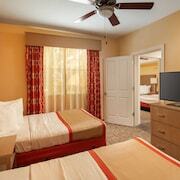 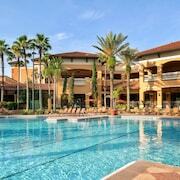 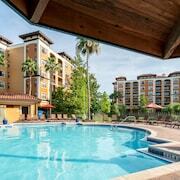 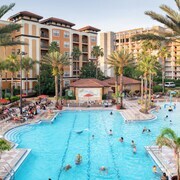 Located on International Drive, Floridays Resort Orlando is central to many Orlando theme parks. 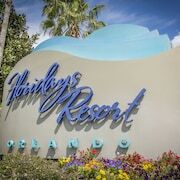 The family and pet-friendly hotel provides complimentary scheduled shuttle service daily to Walt Disney World Resort, SeaWorld, and Universal Studios, included in the resort fee (advance notice required). 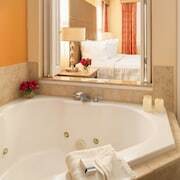 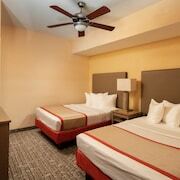 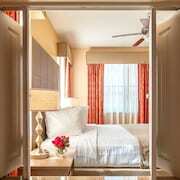 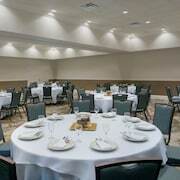 The recently renovated rooms are luxuriously appointed and spacious. 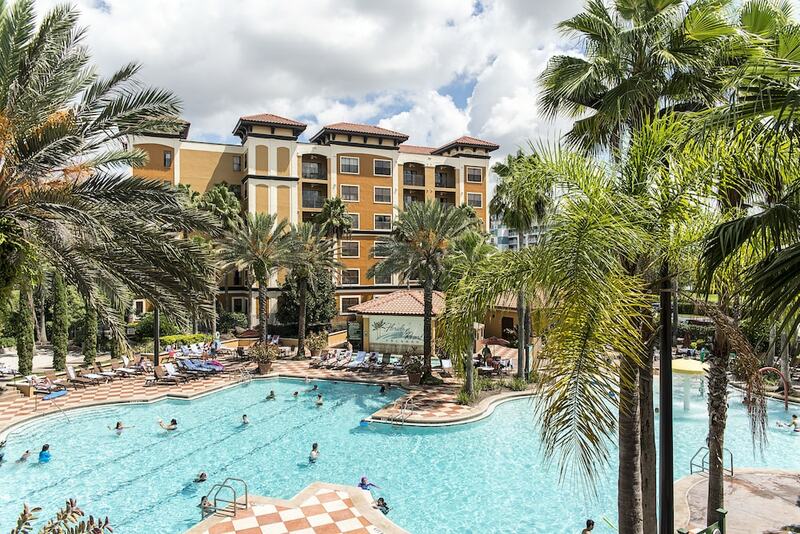 This Mediterranean-style Orlando resort has two separate pool areas and is lushly landscaped with palms and three ponds. 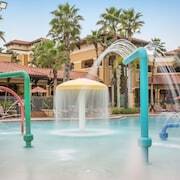 The main pool complex sits adjacent to the welcome center and features a fountain, water jet, and wading area for small children. 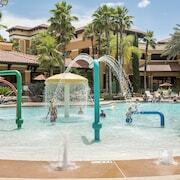 Poolside music and games for kids is offered seasonally on weekends. 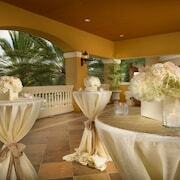 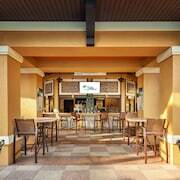 An expansive patio with poolside bar and grill overlooks a large pool, with a real sand beach. 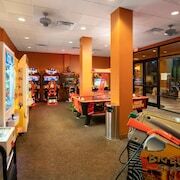 The hotel offers a fitness center and game room. 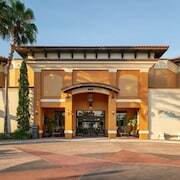 Groceries, toiletries, and gifts are available at the marketplace. 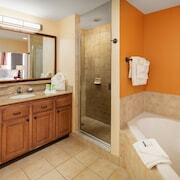 Free WiFi access is available throughout the resort, including all suites. 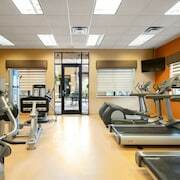 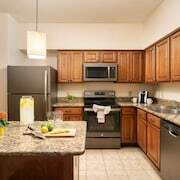 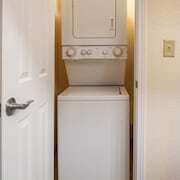 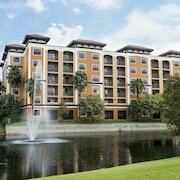 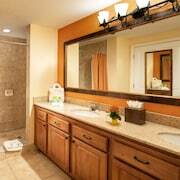 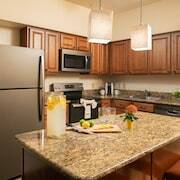 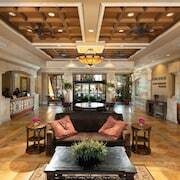 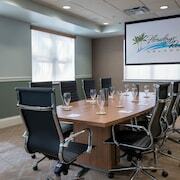 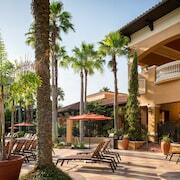 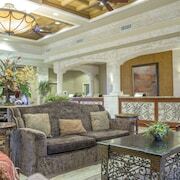 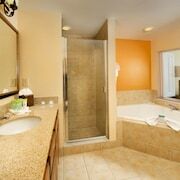 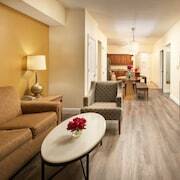 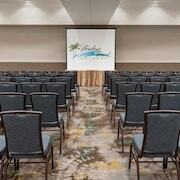 The resort fee includes parking, use of the fitness center, and welcome amenities. 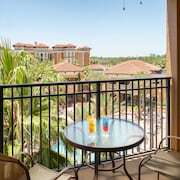 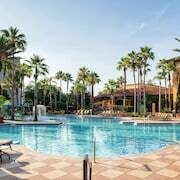 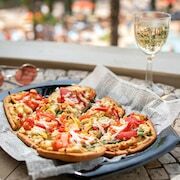 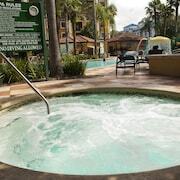 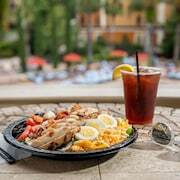 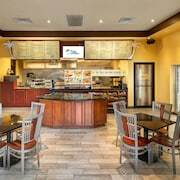 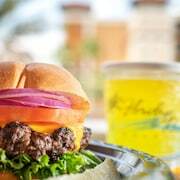 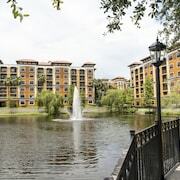 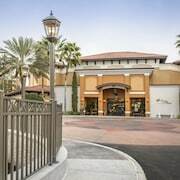 This Orlando resort, 2 miles from SeaWorld and 4 miles from Walt Disney World Resort, offers on-site theme park ticket sales and a complimentary shuttle (advance notice required); Orlando Premium Outlets are within walking distance. 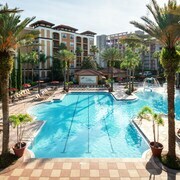 Floridays' grand pool complex features a large lap pool, and a wading pool and water-jet playscape for small children. 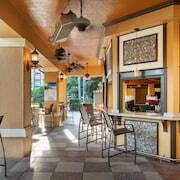 The pool area includes an expansive patio with dining and a poolside bar. 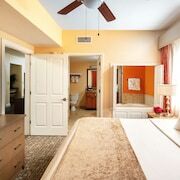 Ideal for family vacations, the spacious two- and three-bedroom suites at Floridays Resort Orlando offer fully equipped kitchens, 37-inch HD plasma TVs, and jetted tubs. 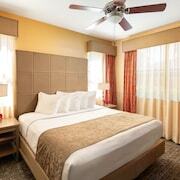 Furnished balconies have ceiling fans.